What if everything clicks, and all those Mariners’ moves combine with the leftover star power for a breakout 2016 season? In a time-honored rite of spring, here’s what has to happen. Mariners regimes are like the Seattle weather — if you don’t like it, just wait for it to change. 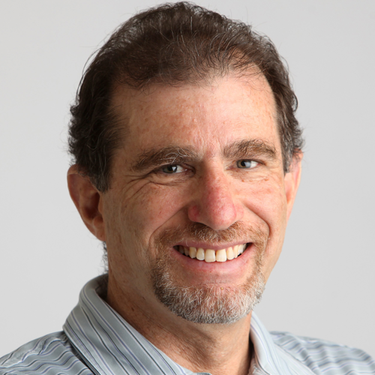 But each management shift also brings the promise that this is the one, that they’ve finally hit upon the brain trust that will fix the farm system, acquire players that fit a consistent philosophy, and utilize them with a new-world nod to modern analytical tools leavened by just the right dose of gut feel. 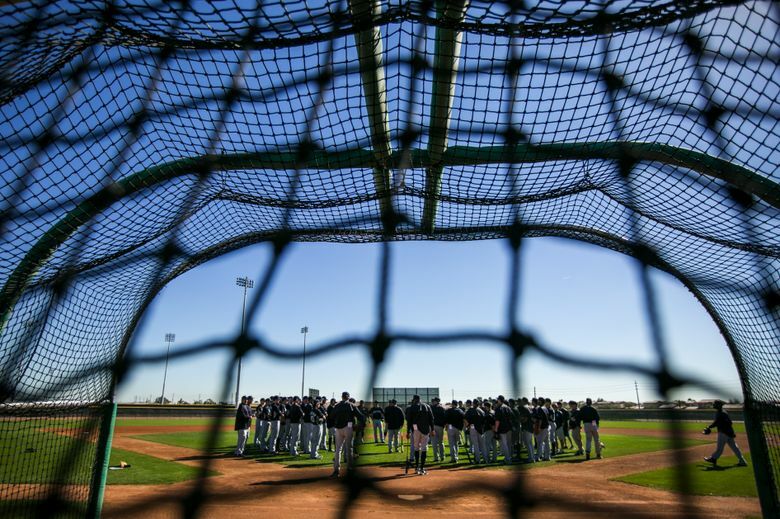 Spring training opens for the Mariners on Friday with the reporting of pitchers and catchers, many of whom will no doubt be in the best shape of their lives and ready to showcase a brand-new approach. A few weeks ago, I wrote a column filled with skepticism about whether the Mariners are built to compete now. But as has become my own spring tradition, in advance of camp opening, I now present what I like to call the best-case scenario manifesto. In this world, their rotation is as deep and talented as any in the league. Those worrisome red flags from Felix Hernandez’s 2015 season — his highest earned-run average since 2008, his lowest strikeouts-to-walks ratio since 2009, four starts in which he gave up seven or more runs — turn out to be a mirage. At age 30 (can it really be? ), he dials up a typical Felix season, which means Cy Young contention and bona-fide ace status. Meanwhile, Hisashi Iwakuma stays healthy for 30 starts, which makes him Ace 1A, and Wade Miley eats up quality innings. In Jack Zduriencik’s last laugh, Taijuan Walker blossoms into stardom, and James Paxton, finally free of all those nagging injuries, consistently flashes the form that in spurts led former manager Lloyd McClendon to predict breakout stardom for the left-hander. If and when there’s an injury or innings-limit issues, Nathan Karns is ready to provide the rotation depth the Mariners have lacked. The bullpen, while mostly unrecognizable — not necessarily a bad thing, considering last year’s 4.15 earned-run average and 24 blown saves — jells behind closer Steve Cishek. Just two years ago Cishek saved 39 games, struck out 84 in 651/3 innings, and put up a 2.17 ERA. He can do it again, right? New general manager Jerry Dipoto shows he had a deft touch in picking up bullpen pieces like Joaquin Benoit, Evan Scribner, Justin De Fratus and others to compete with holdovers Charlie Furbush (recovered from last year’s shoulder issues), Tony Zych (overpowering in a brief showcase last September), and a cast of thousands. The result is a rebuilt unit that elevates the starters rather than burying them. The Mariners’ stars show why they are elite. Robinson Cano, whose subpar start last year went a long way toward sinking the ballclub, maintains the .302/.350/.489 line he produced over the final 113 games. Kyle Seager, motivated by his superstar-in-the-making brother, elevates his game even more by producing an MVP-caliber season. And Nelson Cruz reprises last year’s 44-homer season, only this time with more help around him to make his power count far more. Speaking of which, Dipoto spent all winter attacking the Mariners’ weak on-base numbers — .311, 11th in Major League Baseball — and the restructuring clicks. New catcher Chris Iannetta comes closer to his career .351 on-base percentage than to last year’s .293, which would be a huge improvement over the embarrassing .205 OBP posted by Mariners catchers. And as a bonus, Mike Zunino starts the year far away from the pressure of the major leagues, cures the holes in his swing, and is ready to be reinserted into the job by July. The other new players acquired by Dipoto — first baseman Adam Lind, center fielder Leonys Martin and left fielder Nori Aoki, most notably — approach the best seasons on their baseball cards. For Lind, just matching what he did last year would suffice. For Martin and Aoki, coming off injury-riddled and/or disappointing seasons, they recall past glory. Finally, the projected right-field platoon of Seth Smith and Franklin Gutierrez (with a smattering of Cruz), lives up to their splits against left- and right-handed pitching. From the potential candidates of Jesus Montero, Stefen Romero, Gaby Sanchez and Dae-Ho Lee, the Mariners unearth a right-handed-hitting counterpoint to Lind at first. And 22-year-old shortstop Ketel Marte shows that last year’s impressive showing in a half season was scratching the surface, not a first-year fluke. Put all that together with more athletic defensive play, and the Mariners’ 14-year playoff drought would be in severe danger of ending. Furthermore, Dipoto would be hailed as the master architect the Mariners have been longing for. And new manager Scott Servais would be regarded as Lou Piniella incarnate. Yeah, it’s a whole lot of wishful thinking. Some might even replace the phrase “best-case scenario” with “brain-dead romanticizing.” One truism of team forecasting has always been, the more areas in which you require an unexpected turnaround or rebound, the less likely it is that enough will come through. But if you can’t dream in February, when can you dream?